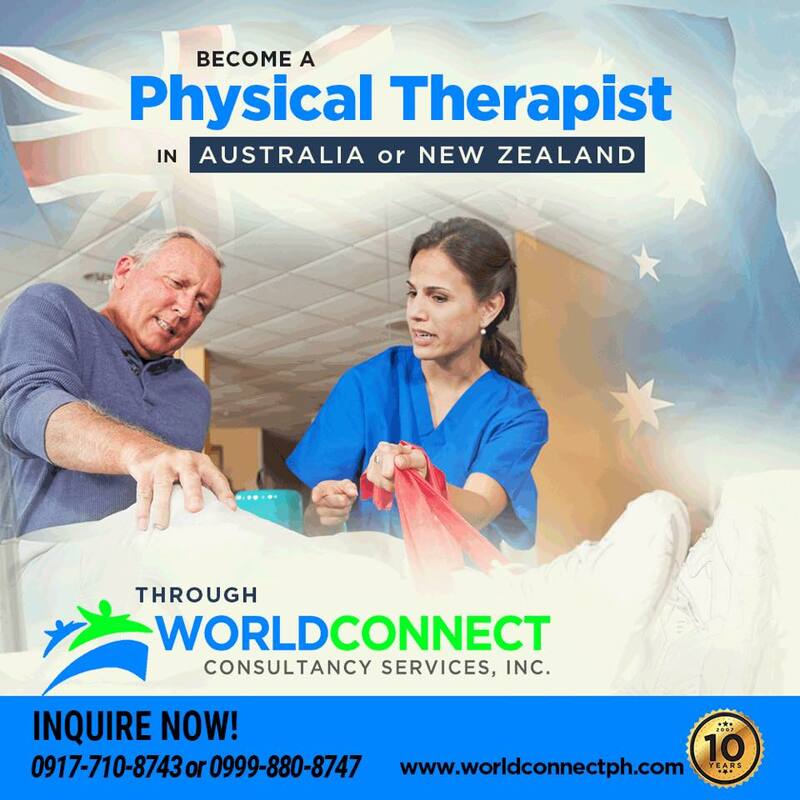 BE A NURSE/PHYSICAL THERAPIST /OCCUPATIONAL THERAPIST / MEDTECH IN AUSTRALIA THROUGH WORLD CONNECT! IN AUSTRALIA THROUGH WORLD CONNECT! Nurses, PTs, OTs and MEDTECHs are on Australia’s skilled occupation shortage list and there’s a great demand for skilled migrants and health care workers like you. Don’t miss this opportunity! WORLDCONNECT is a trusted immigration consultancy firm with 10 years of experience, the right international linkages, and licensed immigration advisers based in NZ and Australia. We are not a recruitment agency. Previous Entry:2 days left to lock in your slots for the Live Classroom Review for the February 2018 PT-OT Board Exam!! Next Entry:The LOCK-IN ENROLLMENT Continues for the Local Webinar and Classroom Review for the Feb 2018 PT-OT Board Exam!! !